A friend recently sent me a picture of my youngest daughter at a bowling event our church’s children’s ministry had this past weekend. 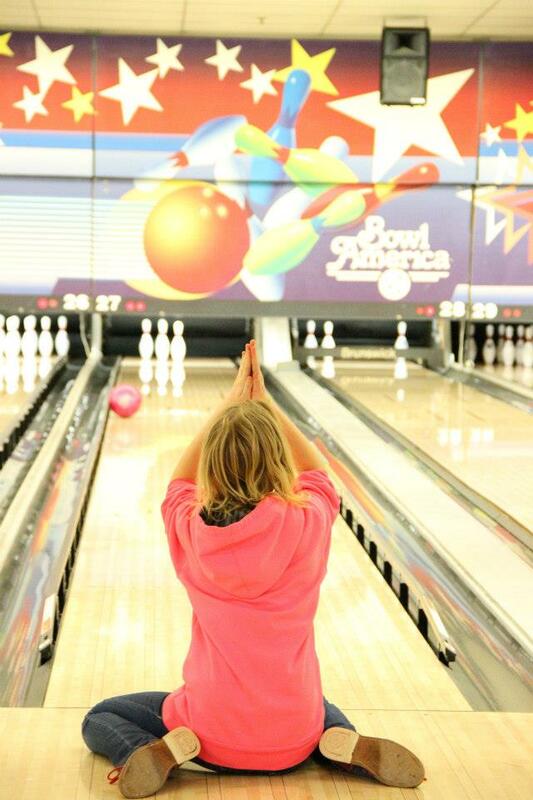 She had rolled the ball, was seeing the ball take a turn she didn’t want it to take, and dropped to her knees in prayer. What I didn’t notice right away in the picture however was the fact that the lane she was bowling on had those “bumpers” that block the ball from going into the gutter. So, in essence no matter what, at least she could know that the ball WASN’T going in the gutter. What are you facing today? If you’re facing it while loving and following Jesus you can know that no matter what, the outcome is going to be good. (Key truth: your “good” and His “good” don’t always look the same. In those cases, go with HIS “good”.) Why? Because HE’S good. And God can’t not BE good, DO good, and GIVE good things. So, pray with confidence knowing that the loving Heavenly Father is hearing you, guiding you, and answering you. And know in faith that His answer is good. And rest assured, the bumpers are up. Great post! Thanks for sharing a bit of your life with me. I love the photo and the message.